If you have a window in your garage, you know how nice it is to have natural light and a good view. However, the common problem becomes if you can see out, someone else can look in. This is something that most people do not want. So how can this be avoided? Well, let’s go over some of the best ways to handle your garage door privacy for a window. There are a lot of ways to avoid someone peeking in your garage window. One affordable option is mirror window film. This can be found at most local stores, and it is normally used for RV windows. It is a dark grey in color and it is easy to see out but not in. You can only see in at night if a light is on. It is easy to apply, remove and reapply. You could also choose to frost the windows with a spray can or another type of film. This will work just as well. You can buy an obscure glass to put on as well, but there is still an ability to see if there is a car parked inside. There is an opaque film you can get that allows you to view out without others being able to see in. You can add curtains to your garage door that will prevent those from looking in and you can choose when you want to look out by simply pulling the curtains back. 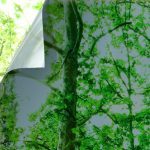 This is a great fix that can give your garage a custom look with your choice for curtains! You can use magnets to hold the curtains in place in case of a breeze. Another option is to build blinds out of Masonite. It can be painted black to give a darker look. They can be held in place with velcro and a plastic track. This is an affordable fix for around $30! 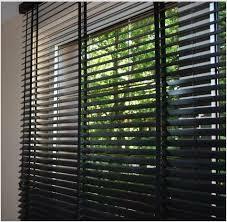 If that is not your style, try a window shade that has a magnet attached, just like the curtains for shade. It works well and is easy to maintain and helps keep unwanted eyes out of your garage. 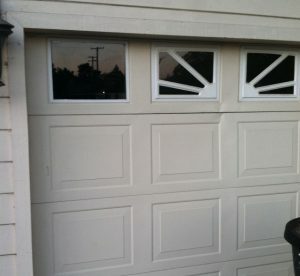 Cheapest Garage Door Window-Privacy Option? You could always place a wax paper on your window taping it into place. You can lift the paper to see out, and no one can see in. This would be the most affordable option for a quick fix. Wax paper is cheap to buy and the tape is even cheaper. The downfall to this is not being able to look out without removing the tape, but if you are in a bind it works well and lasts. 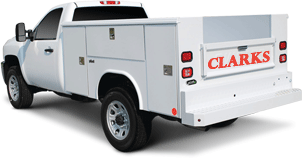 If you need help with your garage door, need garage door repair, or any other garage door service call Clark’s Garage Door & Gate Repair at (877) 622-8183 today for more information. We are here to help you with your garage door needs and give you tips on your garage door projects! Call us today for a free quote at (877) 622-8183 for garage door services.